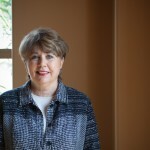 At the time of her fellowship, Pamela Martin was celebrating her ninth year as the president and executive director of Phoenix-based Homeward Bound, where she led the staff in administering a national model program for homeless families with children. A nonprofit executive veteran, she holds Bachelor of Science and Masters of Science degrees in psychology as well as a Ph.D. in organizational development, all from the University College of London. “My Piper Fellowship consisted of two parts: a National Training Laboratories (NTL) experience in Bethel, Maine, and a best-practice trip to New York City. At NTL, I participated in two weeklong labs. The first, Human Interaction, was the study of the complex process of communication and human interaction. The result of the second lab, Self-Awareness and Being: The Importance of Self in the Influence Process was enhancement of professional and interpersonal effectiveness. 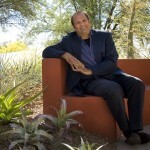 Ken Schutz began his tenure as the executive director of Desert Botanical Garden in 2001 and at the time of his fellowship directed a staff of 80 and more than 500 volunteers. The Garden featured a living collection of 52,000 desert plants, a 50,000 specimen herbarium and a 6,500-volume research library. He holds a Bachelor of Science in biology from Bucknell University in Lewisburg, Pennsylvania, a Master of Science in education and administration from Johns Hopkins University and an MBA in general management from Darden Graduate School of Business Education, University of Virginia. “The Desert Botanical Garden has made steady progress toward becoming a bilingual and bicultural institution since that goal was adopted by the garden’s board as a strategic initiative in 2001. Toward that goal, my fellowship included an eight-week Spanish immersion program in Cuernavaca, Mexico. This immersion experience created an environment that forced me to overcome my self-consciousness and lack of cultural knowledge in order to accomplish that basic need of all people to communicate. “I spent part of those eight weeks traveling to four botanical gardens and different ecosystems across Mexico, visiting a private cactus and succulent garden and a medicinal garden as well as taking hundreds of photographs of native plants growing in situ for our horticulturists to refer to when creating exhibits here. I was able to cultivate relationships that should lead to future collaborations with our garden.